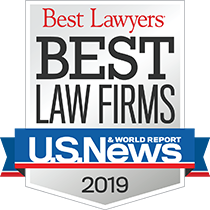 Super Lawyers has named Howard M. Cooper to its 2016 Top 100 in Massachusetts and 2016 Top 100 in New England for General Litigation, and has named Max D. Stern to its 2016 Top 100 in Massachusetts for Criminal Defense: White Collar. Mr. Cooper and Mr. Stern have also each been selected to Super Laywers in Massachusetts for more than 10 years. 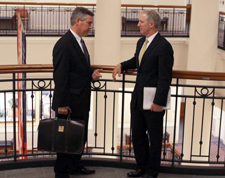 Mr. Cooper, a Founding Partner of Todd & Weld, regularly represents clients in major civil cases in the areas of corporate, closely-held business, First Amendment law, real estate, partnership, malpractice, trade secret and franchise litigation. 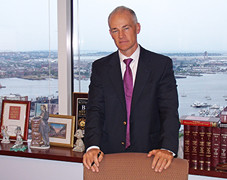 He also regularly handles white collar criminal cases from the internal investigation stage through trial and appeal. Mr. Stern, a partner at the firm, has more than 40 years of experience litigating groundbreaking criminal matters and complex civil cases. He has appeared and argued at every trial and appellate level, including the United States Supreme Court.